David Buttry gave us a sneak peak and a couple tastes of where he was going with his 2017 Poppy Parker collection at the 2016 Integrity Toys Convention last year. Here were some of the slides he shared. 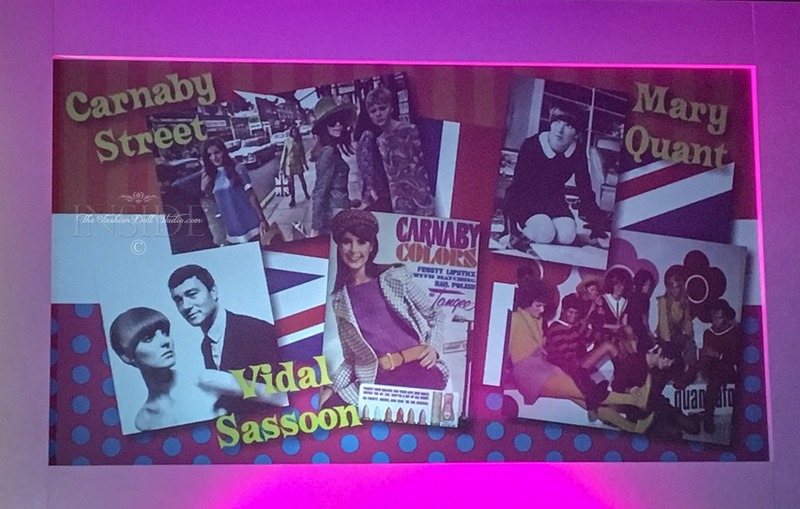 We knew Poppy was going back London in the 60’s…and David Buttry did not disappoint on that vision. And hold on folks…because per the email from Integrity Toys, this is just the first wave of this Poppy collection. The second wave will come later in the year!!! Note: The dolls pictured in this post are prototypes. Final fabrics, colors and textures may vary slightly. Background props are not included. Here are the new and oh so hip offerings for the first wave of the stellar Poppy Parker doll line from Integrity Toys for 2017!! It’s a Poppy giftset!! So per the write-up for this doll, Poppy has left Paris of last year ( blue polka dot outfit) and has gotten a makeover on Carnaby street in London. Her new look is the blond bob and white mini. Wow!! From prim and proper to hip and mod. Very nicely done!! Now I am the first one to say the 60’s are not my favorite fashion era but David Buttry has really put time and effort into the story and detail on these. This doll is worth it for the blond bob makeover doll alone. Add in the adorable brunette and the amazingly detailed accessories…total buy. I’m in. Another giftset!! ..but not with dolls…this time with clothing. According the write-up on this one, Poppy is debuting her new clothing line of “Poppy Gear”. This set comes with all the clothing and accessories pictured. I ADORE the facial screening on this one. There is quite the treasure trove of shoes in this pack as well. These fashions are straight off of Carnaby street. Love the blue dress with the orange striped tie the best. The color combination is perfect on this doll….and I don’t even like mod clothing…but I enjoy this. Thank you Mr. Buttry for helping me to see the appeal of the 60’s again. How adorable is she?!! I absolutely adore the accessories in this one. Can we all remember ( well all of us in a certain age bracket) the clear plastic umbrellas we toted to school every day?! Love the little collared sleeveless dress. Surprisingly enough though..I did not get this one. The overly bright pink lips, while totally accurate for the swinging 60’s were just too vivid for me. While I didn’t purchase this one, I can still appreciate her adorableness. She is just plain fun! Okay…so this was the first doll in my shopping cart for this collection and I will give you one guess as to why. Do you need a hint? It’s in the accessories picture. Come on..I’m a photographer! Yep, that little camera had me all gooey inside. The watch and pink gloved hands also added to the appeal along with the soft facial screening and pastel tweed of this suit. But the camera…this is all about the camera for me. By the 1960’s the 35mm camera had all but taken over. What is that?…is it an old Halina 35x…could be an Spotmatix. Yes, I am THAT much of a camera geek. Anywhoo…Thank you David for this one. Love her and absolutely ADORE her accessories. David Buttry and the Integrity Team also added a nice little dessert into this collection. The WClub offered up an event exclusive doll…not a lottery doll but a doll available to all club members. As popular as Poppy Parker is this is an especially nice perk. As a club member, I say “Thank You!! !” for that one. She is actually my favorite of this entire collection too. Deadline for members to order her is very soon so check your emails or the forum!! Love the facial screening on this one. Very reminiscent of Out of this World Poppy Parker and I adore that one too. For this design, David explained that she is acting in a spooking TV show called “Misty Hollows” hence the candle stick accessory. Nicely done Mr. Buttry. As a whole, I found the first wave of this collection, from the initial offerings at last years convention to the new dolls just revealed this Friday, entirely cohesive and spot on for the time period it advertised. There was some diversity as far as skin tones and their was range within the line. What I mean by that is there were some more refined looks along with fun, flirty and hip. For those not entirely excited by the fashions of the 1960’s there were stellar accessories and beautiful facial screenings to admire and act as an enticement to buy. A well thought out and cohesive lineup in my opinion. 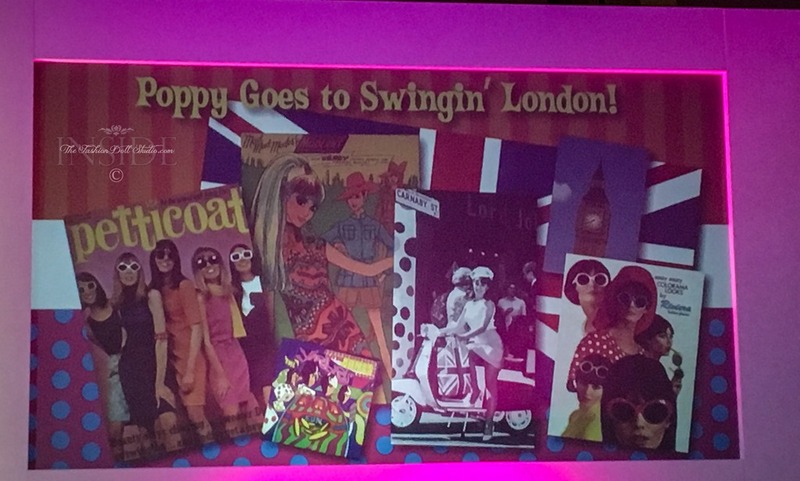 Mr. Buttry stayed true to his vision as expressed at the 2016 convention while trying to appeal to the very diverse collecting tastes of the Poppy Parker collector community. Not an easy thing to do. It’s a very fine needle to thread but I feel David Buttry has successfully done it with this collection. To David …I raise my glass…job well done! For those of you who are reading this and and wanting to get any of these dolls ( except for Misty Hollows..she is only available to club members) , you might want to call an Integrity Toys Dealer sooner rather than later. These Poppy’s are going fast.